Which Star Wars Planet Should You Vacation To? Imagine a time when you don’t have to take a boring vacation to places like Hawaii, Europe, or Tokyo. Instead you’ll travel across the galaxy to far-off planets such as: Endor, Naboo, and Coruscant. You’d be able to walk with Gungans, fight alongside Jedi masters, and bet on podracing. That’s the world this nerd wants to live in. 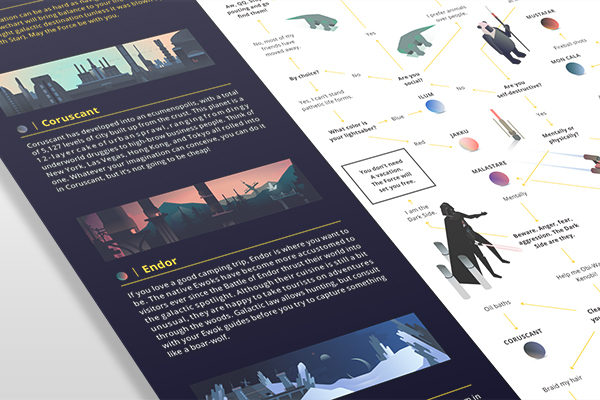 To make our vision come to life, we created this complex infographic about Star Wars planets. 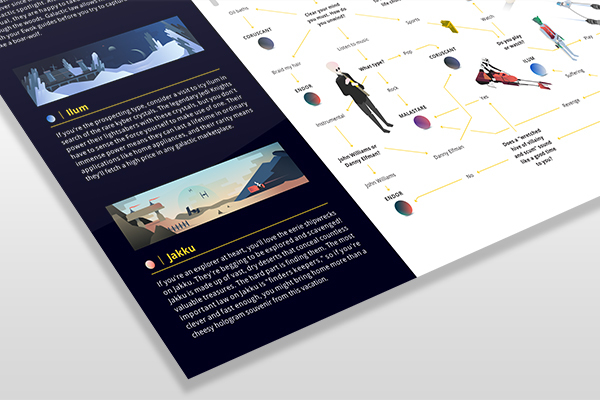 Planning a vacation is hard, but imagine trying to plan a trip across different galaxies? No one wants to fly for 3 months and then be forced to turn around because the kids are fighting in the back of the transporter. 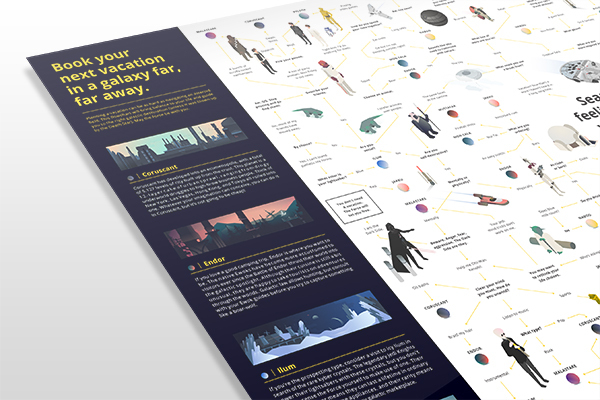 To help plan your futuristic Star Wars planet vacation, we teamed up with fellow Star Wars nerds, Daily Dot, to create this flowchart. 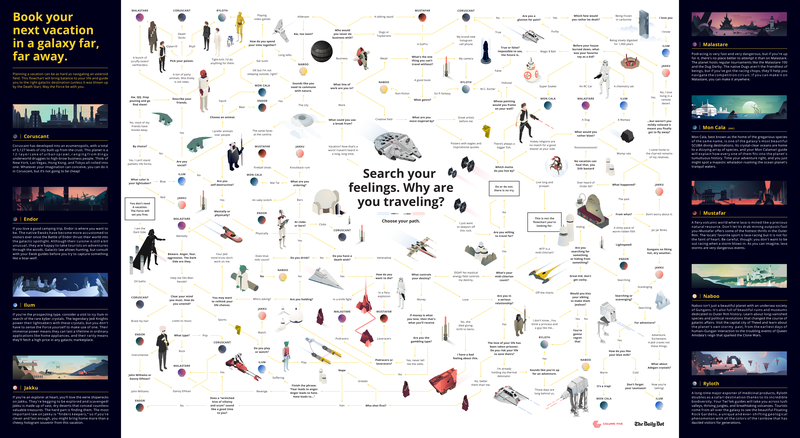 Simply follow your path to find out which Star Wars planet you should vacation to. Search your feelings, and may The Force be with you.